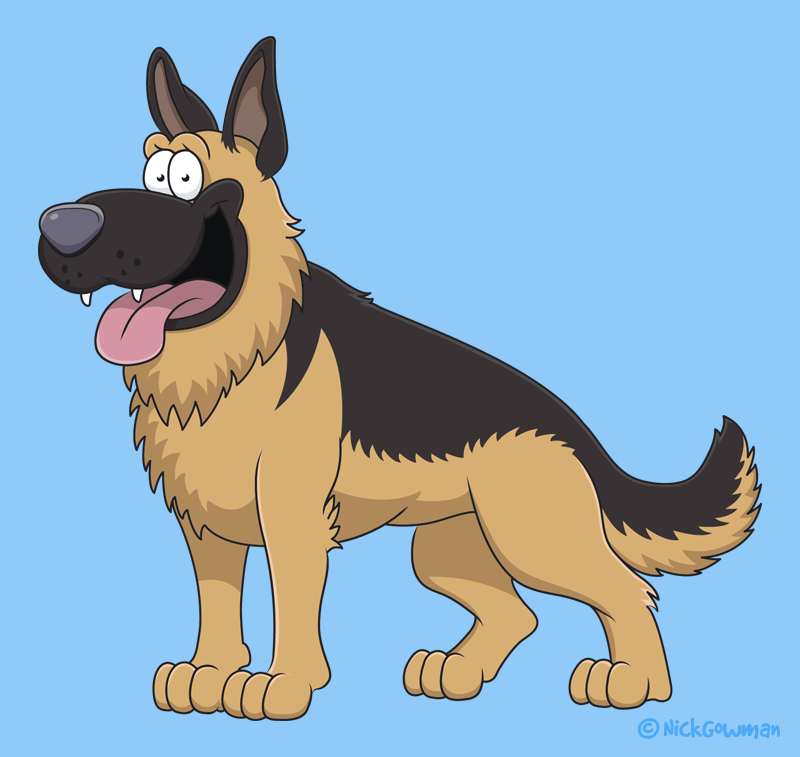 I’ve owned several breeds of dog over the years, but none have stuck with me more than the German Shepherd. Originally bred as a working dog in Germany, this breed is also known as the Alsatian in Britain and Ireland. Their loyalty is second to none and in terms of comical characters and expressions, they’re perfect for a cartoonist! The ears especially on the German Shepherd allow for so much expression, and this coupled with the big wet nose and tongue are a perfect combination. This particular cartoon began life as a pencil sketch before being digitised using Adobe Illustrator.